Yazzp: An App To Create Facebook And WhatsApp Fake Conversation ! Of course, most people want to make fool of their friends. Pranks are likely to play by people to add some fun, these days. 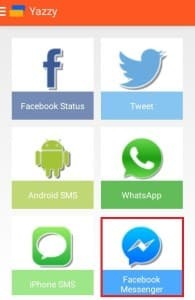 If you are using WhatsApp, of course, you can do such things, even with it as well. A fake WhatsApp conversation and fake conversation can be created. Having an Android mobile means you have exciting apps to use. 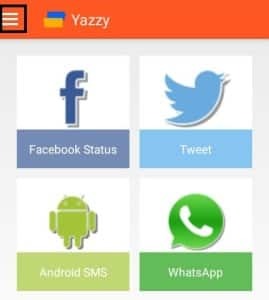 Yazzp is one of the latest apps, which can help you in creating fake conversations for different social media platforms, like Facebook messenger, WhatsApp and a lot more. 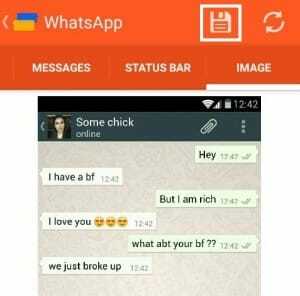 3 Creating Fake Whatsapp Conversation Using the Yazzp app in a right manner! With it, one can create fake Google searches. Creation of fake Twitter tweets can be done. You can add even fake comments to it. 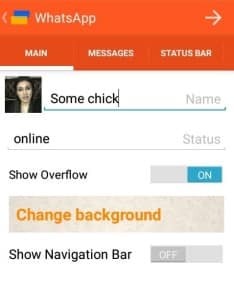 It helps you make WhatsApp group conversations and Facebook messenger conversations. Moreover, you can also create fake Google translate. With it, create fake Facebook status along with likes and comments and enjoy the fun. 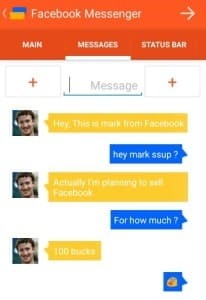 This app has the ability to create fake default android messaging app conversation. Creating Fake Whatsapp Conversation Using the Yazzp app in a right manner! The first thing to consider is the installation of Yazzp app. It can be downloaded from the Google Play Store and then installed on your mobile. It is an easy to install app, which does not need any hard instructions to follow. 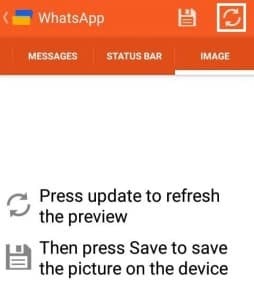 After installing it, open the app and click on the ‘more options’ button located on the left side of the top. Afterwards, choose settings and remove the tick including watermark because it is not needed anymore. 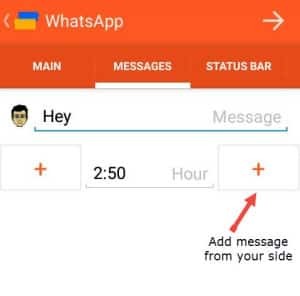 Click on the ‘back’ button and choose the WhatsApp or any other social media app, for which you want to create fake conversations. Of course, you have the name of the person, whom you want to make fool. You need to enter his or her name in the field of the name. Enter only the exact or correct name, which you have listed in the contact list of WhatsApp. Once you are done with the name, next, you have to tap on the avatar option so that you can add the profile picture of your target. For this, it is important to take a screenshot of your target’s picture and then crop it. Coming to the next step, click on next and go to the right so that you will be able to select the messages tab. At this step, you must take some precautions as it is a tricky one. You will have to type the message that needs to be shown and then click on the right + button. In this manner, you can add whatever conversations you want to add. For more, repeat the previous step, but now, it is from the victim’s side. It means that you need to type the message from the target’s side and then click on the left + button. To create longer conversations, you must repeat these steps again and again from both the sides. Go to the right to select a status bar tab. It is where, when you want to make some changes, it can be done without any hassle. Again, go to the right and click on the refresh button so that you can see the conversations how they look. So, the last step is to save the conversations, if everything is right. Conversations will be saved in the gallery folder automatically. 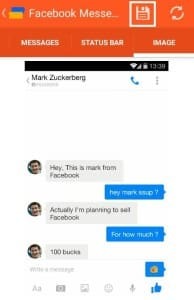 When it comes to using Yazzp to create fake Facebook conversations, firstly choose the Facebook messenger option. Enter the name of the target along with his or her picture, like WhatsApp. Go to the right to shift to next tab. From the target’s side, Add message and click on the left +button. Now, do the same thing from your side and click on the right + button. Repeat the same process mentioned in the above steps. After following all steps, click on the next button at top right corner. To see the entire conversation, choose the refresh button. 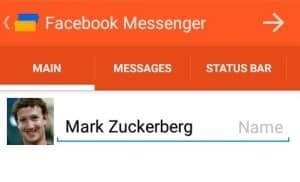 This way, you can enjoy creating Facebook and WhatsApp fake conversations. Cheers!! Now start creating fake whatsapp conversation and fake facebook conversation.